Embark on thrilling Turks scuba diving adventures at Bohio Dive Resort, the best place to experience diving in Turks and Caicos and the only resort on Grand Turk Island to offer an on-site dive operation. With arguably the best diving in Turks and Caicos Grand Turk offers deep-blue depths, an intoxicatingly diverse underworld where colorful coral, spectacular marine life, and mazes of swim-throughs and trenches come to life. The island is consistently ranked among the top dive destinations in the world, and it's not difficult to see why. 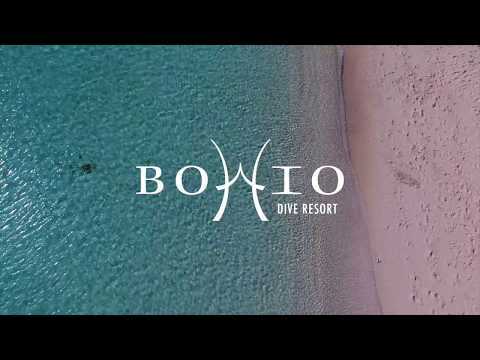 At Bohio, we cater to our diving guests with valet dive services and friendly, professionally-certified staff. Enjoy the convenience of organizing diving adventures on your oceanfront balcony and being picked up by boat just steps from your room. With our white sandy beach sloping gently to an exhilarating drop-off, spend some free time exploring the shallow depths and the dramatic coral wall that plunges into the mile-deep Columbus Passage 300 yards offshore our idyllic beach - sure to create a rush for even the most experienced diver.